With the New Year in full swing, we thought it would be a good opportunity to highlight the steps we take at Great Oaks to promote self-care. It is of the utmost importance to us that our residents are happy and receive care of the highest standard. We are dedicated to making every person feel special and so our facilities and activities have been carefully created with this in mind. 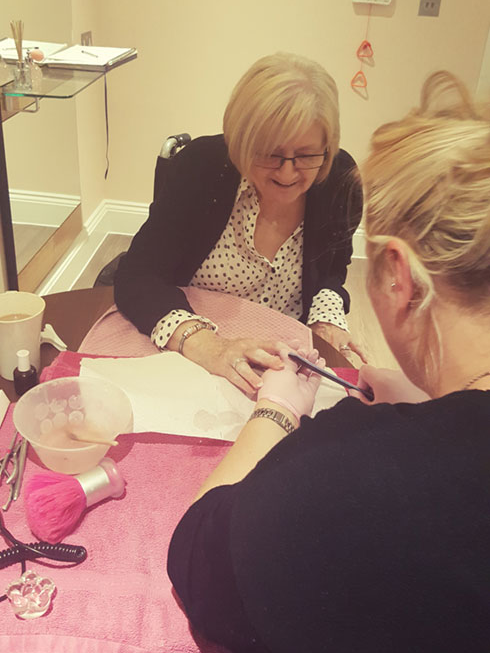 The home’s Pamper Room is fitted with modern hairdressing equipment, which enables residents to step inside and feel as though they are in their local salon. They often visit for a blow dry or a trim and leave feeling a million dollars. We also have our partnership with Oomph! to help residents improve their health and fitness, through fun exercises and activities. Since the programme kick-started last year, we have all taken part in a variety of sport, music, relaxation and nature workshops. 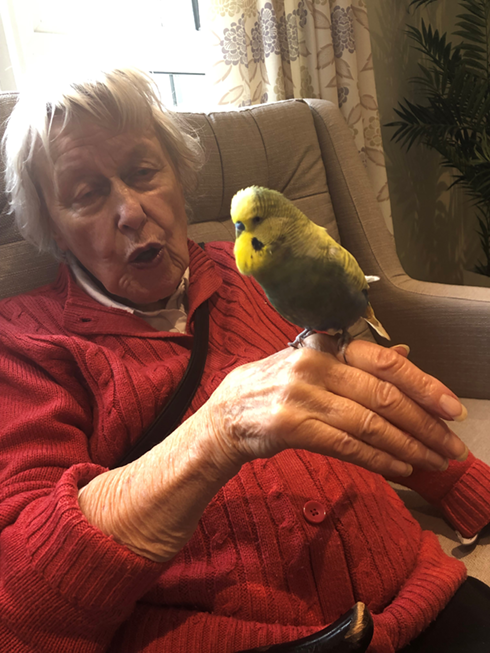 Some furry friends from Alpaca Adventure often visit us and our residents of course interact daily with our pet budgie called Smuggler, who brings them so much joy. It is very beneficial for our residents to spend time with animals as it has been proven to boost mental, physical and emotional wellbeing. At Encore our distinctive individual care plans reflect not only each resident’s needs, but also their unique character and preferences. There are many more activities that take place at our homes, organised by our dedicated Wellbeing Manager, to provide the level of personalised care which they deserve. In everything we do at Encore, we promote wellbeing in its entirety, not only through movement and nutrition, but also with enthusiasm for life, companionship and high spirits.